Bing Chen is a creator and entrepreneur who currently runs his own content studio company, Bing Studios. He graduated from the University of Pennsylvania in 2009, majoring in English and minoring in psychology and marketing. He was the only person from Penn that year to get an offer from Google’s Executive Management program, where he built the influencer ecosystem at YouTube. Afterwards, he launched two companies focused on the media and entertainment space, Victorious and Bing Studios. In 2014, he was named one of Forbes' 30 under 30 in Hollywood and Entertainment. Aside from running his company and advising other digital media startups, he is actively involved in making the Asian community globally more powerful. At Penn, he served as President of the Ivy Council, and was involved in Alpha Kappa Psi, the Undergraduate Assembly, and PEER. Dominic Sandoval" by Sthanlee B. Mirador. Source: Pacific Rim Photo Press. 1) Why Bing chose creative writing at Penn. 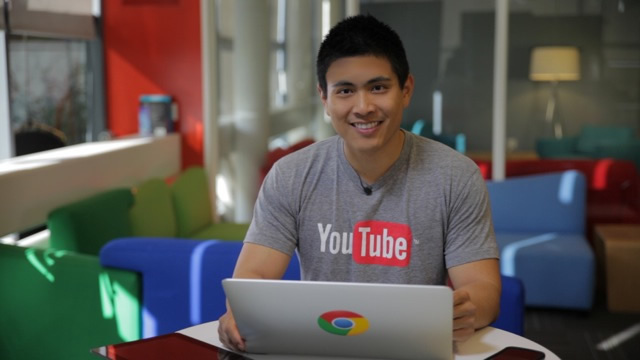 2) How being an English major helped him get a job at Google. 3) What opportunities he thinks Penn students are missing out on. 4) His absolute favorite professors at Penn. 5) How he hid being an English major from his parents. Could you give me a brief overview of your time at Penn and beyond? My Penn experience and my post-Penn experience, which was has been seven years now, has been focused on balancing the creative, right brain with more of the practical, left side. At Penn, I majored in Creative Writing - which is ostensibly useless unless you want to be a writer or a professor — and I minored in psychology and marketing. But my extracurricular side was entirely business-oriented. I think balance is really important. My predominant activity at Penn was the Ivy Council. At the time, it was more of a student consortium, but I resurrected it from obscurity. My favorite thing to do, and probably my greatest skill, is building something from nothing. When I graduated, it was the height of the economic recession. Around 40 percent of my peers were unemployed, which is unheard of coming from an Ivy League school. I was very lucky. My dream since childhood was to be the next Walt Disney, and I basically had two choices. One is I could go down the traditional media path, in which I write, produce, direct, and star; or, I could go learn how to build a system. So, I went to Google [to build a system]. I ended up being the only person from Penn to get an offer into Google’s Executive Management program. I created what the world now knows is the multibillion dollar influencer ecosystem at YouTube. I left about three years ago and now own two of my own companies: one is a tech company and the other is a content studio that’s launching later this year. Around 70 percent of my time is invested in launching my content studio, which is my childhood dream, and 20 percent of my time is investing in advising digital media companies. And then finally 10 percent of my time is spent community-building, focused on making the Asian community more cohesive and influential. Bing Chen at YouTube. Source: Huffington Post. What made you want to do creative writing? I am absolutely thrilled that I did creative writing; it was probably the most useful thing I could have done. I, like everyone else in the liberal arts school, thought I needed to go to Wharton to get a job and gain useful skills. But, my advisor told me to look fundamentally at how you operate and think as a person, and then find a major that best suits that. The problem with majoring in something too practical when you're 18 to 22 is that you’re compartmentalizing yourself in a box before you've even figured out what you want to put in a box. And ever since I was young, I really gravitated towards abstraction and metaphysical ideas. There are very few majors that enable you to leverage abstraction and make it into something useful. Secondarily, if you look at the people who run the entertainment industry, the overwhelming percentage of them majored in English. The third reason was the fact that there's always graduate school and the real world. Finding the opportunity to engage in real liberal arts in the real world is much harder, whereas you absolutely have an opportunity in finance and operations. You better milk these four years because you literally will not get an opportunity again to engage in something like this. The final reason was that it was really easy. There were nine to ten classes, and I know it sounds like a lazy comment, but one of the reasons I chose Penn was because it’s so interdisciplinary. Elon Musk is one of the best examples of an output of interdisciplinary thinking. So I took a lot of psychology, marketing, East Asian Studies, and politics classes — and I would not have been able to do that if I were in a dual degree program or in a more rigid major. It gave me the flexibility to do that. How do I use that today? I use my English major in the way I think every single day, every single second. English is really about creating something from scratch, and doing it in a really compelling way. How did you make the fact that you were an English major, and not in Wharton, an advantage? That fall semester, I was the only one to be accepted into the Executive Management program at Google. Usually the entering class for that program is 30 people, but due to the recession, it was 7. So not only was it competitive at Penn, but, globally, it was even more competitive. And I got in as an English major. If you look and sound like everyone else, then you will be suffocated by everyone else and you will disappear. Companies, especially companies that are as progressive as Google, want distinct thinkers. Across tech and media, increasingly your major has little to nothing to do with what you end up doing when you graduate. In the end, it's much more about how you think and if you can deliver. "Perks of Being an English Major" Comic by Jacob Andrews. Source: ForLackofABetterComic.com. What is something you think most students overlook when they’re at Penn? Number one: take advantage of the professors. I was getting more advice for creative business with professors at Penn. People forget that the professors at Penn are world-class experts in their field. They have incredible connections and the reality is that they are incentivized to help you as you are a talented person. They want to find the next person to lead. When you start in college, have them be like advisers. Secondly, I wish I started a business in college. Editor's note: Some Penn resources for starting a business can be found here. There’s also this thing called the Counseling and Psychological Services, and I say all Penn students should go there. It's FREE. The majority of people who went to class are those who are just high-achieving people who are stressed out. They're not people who are suicidal or have bipolar disorder and I'm not trying to say that people are crazy because we're all crazy. But again, people are high-achievers who are just exhausted. 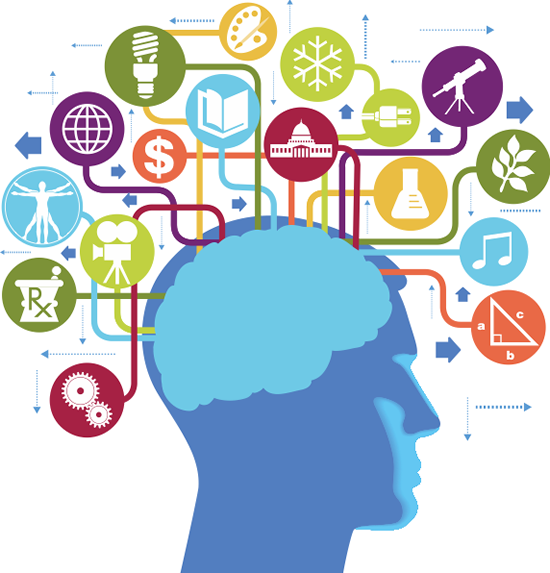 Going to CAPS can help shape an amazing foundation psychologically for you before you enter the real world. There are a lot of hidden resources. There are a lot of fellowships. There are a lot of research grants. A lot of hacking competitions and programs (like PennApps). So you can leverage this for your own company, play, or project. Now I want it to be very clear about this — I'm not saying you need to join an organization. In fact, most of them are only useful for making new friends, which is useful but not the result. There are a lot of programs that most people don't know about, or whatever that’s useful to you when you start your own thing. It's simply a matter of asking where those are, and taking advantage of them. Read on for Part 2: Bing's favorite professors at Penn and how he dealt with pressure from his parents.